Telenor Arena is a unique, multi-purpose arena that has been used to hold an increasingly wide array of shows, events and exhibitions. Despite its short existence, the arena has housed a large variety of concerts and events, ranging from the Eurovision Song Contest, The Rolling Stones, Justin Bieber and Bruce Springsteen, to large exhibitions like Reiselivsmessen and corporate events from 300 up to 10000 people with a combination of seminars and dinner. Our arena can be customized for events of almost any size and we cater for all requirements. If you or your company are considering to host a concert, a kickoff, a dinner, a trade show or any another type of event, please contact us. We would be happy to discuss the opportunities available at Telenor Arena. Telenor Arena is Norway’s main arena when the world’s biggest artists visit Norway, having hosted concerts by among others The Rolling Stones, Justin Bieber, Rihanna, Madonna, Lady Gaga, Foo Fighters, Bruce Springsteen, Roger Waters and Eurovision Song Contest 2010. Our full arena can accommodate a wide array of layouts with a maximum capacity of 25,000. With our more intimate Amphi solution, the arena can be tailored in dialog with the organizer by the number of tickets sold and the organizer’s needs, providing cost effective solutions and allowing audiences the opportunity to get up close to the world’s musical stars. This makes us one of Norway’s most versatile and flexible venues. Contact our Sales Manager Torgeir Stegane, phone +47 952 06 311, to discuss the possibilities at Telenor Arena. Telenor Arena can offer you a wide array of possibilities and help you create the perfect setting for corporate events of all sizes, from 300 people up to 10.000 for dinner! Our dedicated and imaginative team are here to assist you and can suggest exciting, yet productive solutions for your event, whether it be seminars, conference rooms, auditorium layouts, gala dinner, party and more. Here you will find the arena's technical specifications. If there is anything else you need, please contact us through booking@telenorarena.no. Telenor Arena has hosted a variety of world-class family and action shows. From the more intimate family shows like Dora and the Explorer and Disney on Ice, to roaring action shows like Solberg Motor Show and Nitro Circus Live, Telenor Arena is proud to have hosted a wide vareity of world-class entertainment. Our unique flexibility allows us to tailor the arena to virtually any size, creating the perfect atmosphere for almost any show. 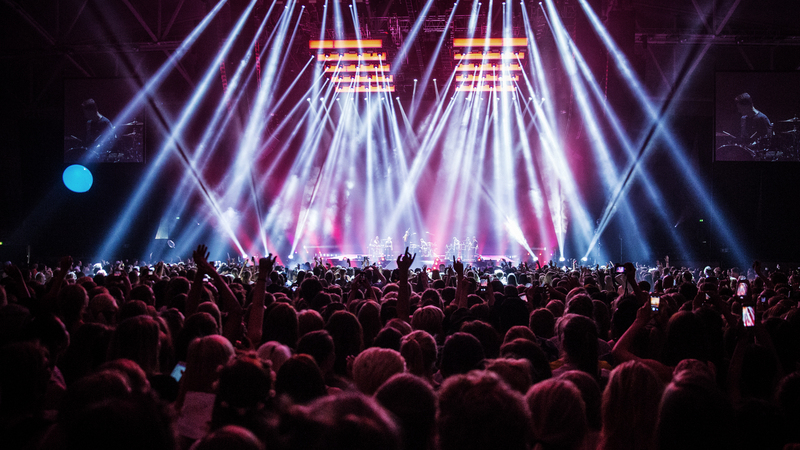 If you are looking to bringing a new show to Norway, look no further than to Telenor Arena. Please contact Sales Manager Torgeir Stegane to discuss the possibilities. Telephone +47 952 06 311. Telenor Arena hosts a variety of exhibitions and trade fairs every year. Are you looking for a unique venue that combines the functionality of an exhibition center with the flexibility of a multipurpose venue, then you should consider Telenor Arena! We can quickly lay FIFA-quality artificial turf on the arena floor when customers choose to organize football matches and trainings at Telenor Arena. Every year, we look forward to welcoming the Norwegian Football Federation's Cup Final for women to the arena and fill the arena with young football players during Snarøya Cup. Telenor Arena is ideal for football and we hope to increase the amount of football events in the arena. Contact Keith Woods to hear more about the possibilities.